Driving in KL can be hazardous at times, with the number of potholes, road rage and misleading directional signs that make every turn an accident waiting to happen. But we’re not looking at KL roads today; nope! We’re looking at roads around the world that are much, much worse than ours; roads that have claimed hundreds of lives. 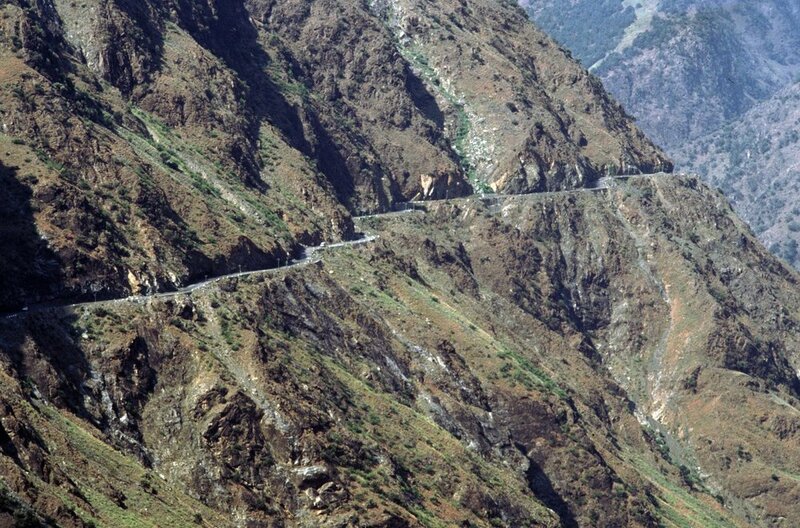 Here are 5 of the most dangerous roads in the world. This road is as beautiful as it is deadly. It’s the highest paved international road in the world. This road is also sometimes called the Friendship Highway because of the collaboration between Pakistan and China in building the road. While it does provide a stunning view of some of the highest mountains and glaciers, it is very prone to landslides and floods. Ah the Himalayas! As home to some of the world’s highest and deadliest mountains, the Himalayas expects not only you, but your car to make a climb to your destination. Among some of the most dangerous sections of this road is the Zojila Pass. At 3,528m above sea level, the pass is often closed during winter. It is known for having a muddy and uneven surface making it difficult for even four wheel drives to make a proper journey. Another name for this stretch of road is the Strada delle 52 Gallerie, or the Road of 52 tunnels. This Italian road was built during the World War I, by the Italian Army to transfer supplies from the base to the summit of Mount Pasubio, outside the range of the Austro-Hungarian artillery. Today, only certain vehicles are allowed entry, and mountain biking is off limits due to the high number of fatal accidents on the road. However, at the highest point of the roadi (2000m), you’ll find one of the most beautiful views in the world! Another name for this delightful road is “Death Road”. 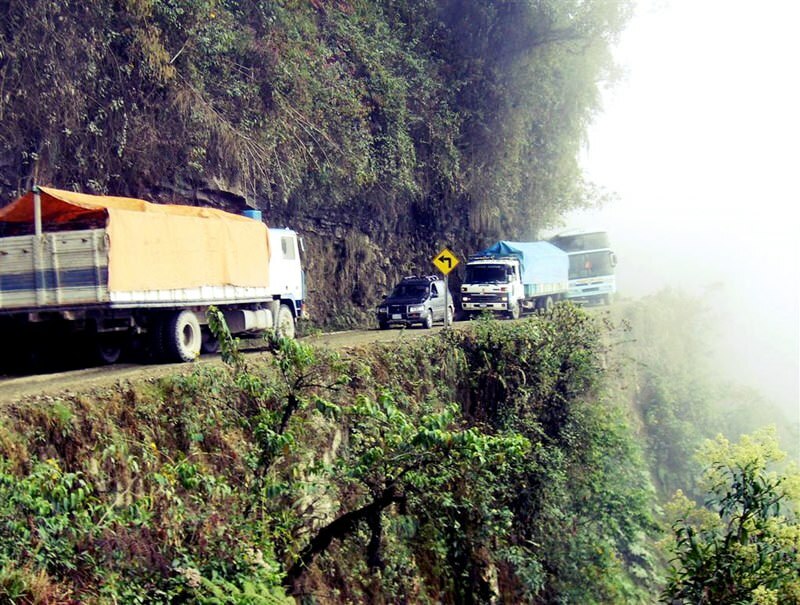 This 69km stretch of road leads from La Paz to Yungas in the region of Bolivia. The single lane road has no guardrails, allowing you to enjoy the scenic view from cliffs that are up to 600m. During the rainy season, the road becomes muddy, with very low visibility. In the summer, there are cases of rock falls and vehicle dust from other cars. In 2006, it was estimated that as many as 200 to 300 travellers were killed yearly along the road. 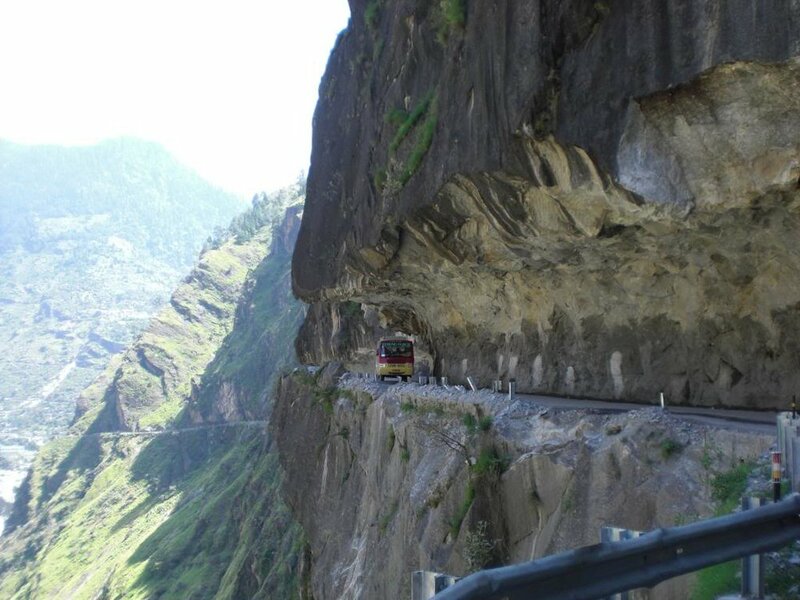 At 479km, this road passes through some of the world’s highest mountains. Here’s the most astonishing thing is that this road is only open for 4 and a half months a year. The road is also dangerous because it is prone to rapid avalanches, with some parts of the road gaing drops of a few hundred meters. Due to the elevation and the climb over thousands of feet, drivers also experience altitude sickness, including nausea, dizziness and vomiting. Because of this, travellers are advised to spend one night at Keylong, Jispa or Darcha to cope with the change in altitude. If you’re planning to take a drive through any of these paths, our advice is to take it slow and don’t look down. Which ones of these roads are you planning to take a drive on? Leave a comment below!